Hi everyone, I hope you are all doing great and thank you for taking the time to click and read this post of mine. 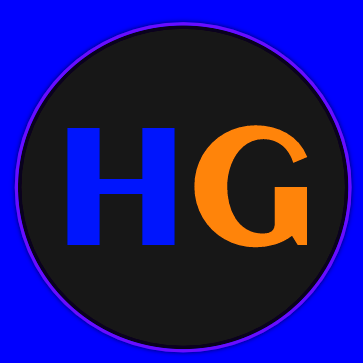 If you follow my blog, then you will know that I post a number of different types of content centred around my love of gaming. So far that has been stuff like reviews, lists and more personal posts. However, these can take some time to plan and write and if you don’t know, I’m a second year History student at university which means I am often incredibly busy and stressed out with deadlines. It’s for this reason, alongside having a part-time job, I’ve decided to start making this new regular type of content. It will be a mash up of life updates, gaming updates (what I’ve been playing), what content I’m thinking of working on for this blog in the future and maybe a bit of a random rant. This will be shorter and quicker to write, which I will alternate with the other types of content I make. So, as it is coming up to the Christmas period, I have a shed load of assignments for uni due in the next month, so if there is no post for like 3 weeks, then you know reason why. I will try to write something, but I don’t know if I will have the time to, so far, I have been keeping to a once every 2 weeks format, but that might change in more stressful periods. I am currently so close to finishing Red Dead Redemption 2, I’mplanning to do a review of it at some point and my impressions of it are mostly positive. I’ve got back into playing Overwatchagain, the new hero Ashe is really fun to play, but my favourite heroes remain Zenyatta and Moira. I was able to get back into diamond rank after falling to platinum last season. Also, I have finished Spyro 1 and 2 from the Spyro Reignited Trilogy to 100% completion, and I’m enjoying them so much. They were games I never got to play when I was younger, but I have wanted to play them for so long. Lastly, I’m replaying the Final Fantasy 13 trilogy again now that it’s on Xbox One backwards compatibility. Although they are very divisive entries in the series, I really liked them, and they are some of my favourites in the entire franchise. I’m planning on doing a top 6 favourite Final Fantasy gameslist soon and perhaps a deeper look at the 13 trilogy. So, I hope you like this new type of content for my blog. What are your thoughts? What games are you guys currently playing and enjoying right now? I’d love to hear down in the comments. Thanks again for reading this post, like if you enjoyed it and stay tuned for more content on all things gaming.